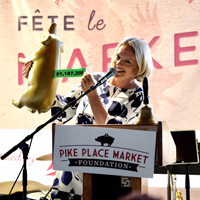 For Robin Karns the Pike Place Market feels like home. That might have something to do with the fact that her relationship with Pike Place stems from her relationship with her father. Her Father, Oliver Davies, who grew up in Seattle, shopped at the Market for fresh produce with his family. Once he married and started a family of his own he brought them to the Market as well. They kept coming back for the fresh produce, the reasonable prices, and quite frankly, the nostalgia. 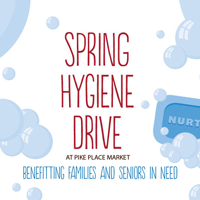 Robin says that even when her family moved to Pierce County they continued to make special trips to the Market whenever they could. 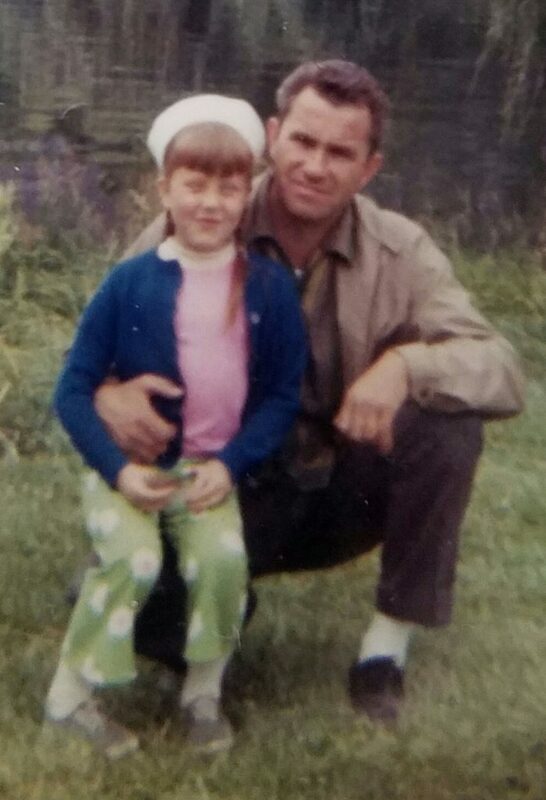 Robin has many positive memories from her childhood trips to the Market with her dad. She remembers running up to Rachel the Piggybank and watching the Fish Guys toss Salmon for hours. She enjoyed watching the Fish Guys work almost as much as watching the tourists’ faces, which were always filled with wonder while they witnessed this unique Seattle treat. 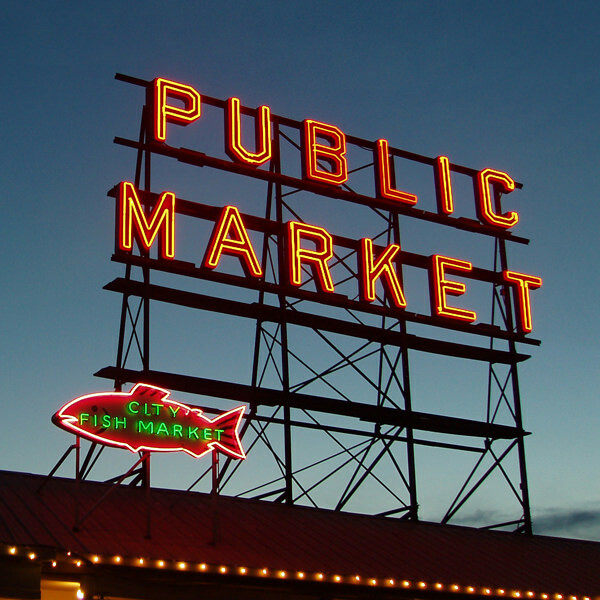 When Robin landed her first job in Seattle she would visit the Market every Thursday to do her shopping. She says, “Much like my trips as a child with my dad, I think it was more to just be around the “feel” of the Market; the vendors, the music, the people. It just feels like home.” Now that she is married she continues the tradition with her own family and her two girls LOVE the Market. If you’re keeping count that is four generations in this one family, enjoying the Market! Oliver Davies passed away on January 3rd. That evening, as Robin’s family gathered they decided they would not have a traditional memorial service. Instead, all of Oliver’s kids and grandkids will be coming to the Market this summer after Grand Opening and together they will find the Market Charm with his name and years of life inscribed on it. In this way they will honor him in the Market, a place that made him happy. Robin and her dad Oliver.